Recently, there has been a fair amount of media coverage on investor visas in the United States, mostly focused on the EB-5 visa. A provision extending the regional center EB-5 visa program was added to the March 2018 Omnibus bill and subsequently signed into law by President Trump. Skeptics argue that the U.S. is selling a fast track to residency (and eventually citizenship). They urge that the investment amount of $500,000 be increased as it has not been indexed to inflation in over 25 years. In the EB-5 visa’s shadow, the E-2 treaty investor visa has rapidly grown to over 43,000 approved on an annual basis. This represents over four times the number of EB-5 visas issued in 2017! The E-2 visa allows a national of a treaty country the ability to invest and reside in the U.S. There is no minimum investment, although an investment at $150,000 or greater increases the chance of approval. Moreover, there is no minimum number of American job creation required. Most countries allow for a 5-year visa that is renewable indefinitely as long as the business is operational and provides a financial benefit to not only the investor but the U.S. economy. The approval rates for the E-2 visa are much higher than other employment or investor visas like the H1-B, L-1 and EB-5. Over the past year, the approval rate fell slightly from 93% to 92%. The approval rate includes people who did not receive the approval in the first interview and had to return to the consulate with a revised petition. The State Department has not released the approval data for fiscal year 2017 but the 2016 approval rate was 92%. We expect approval rates to decrease as the E-2 visa option for managers has been held under tighter scrutiny in consulates around the world. The manager E-2 visa option is generally harder to obtain than an investor petitioning for himself. Immigration attorneys are often being asked to prove that a U.S. worker could not fill the E-2 visa position. Our neighbors to the north and south, Canada and Mexico, remain the top countries for E-2 visa approvals in the Western Hemisphere. Canada had 2,854 E-2 visas issued in 2017 representing a growth of 10% over three years. This contrasts with Mexico that has declined 10% over the past three years. At Visa Franchise, we expect more Mexicans to apply in 2018 as fears have calmed regarding the perceived uncertainty in the Trump presidency and concerns have grown with the upcoming Mexican elections in July. 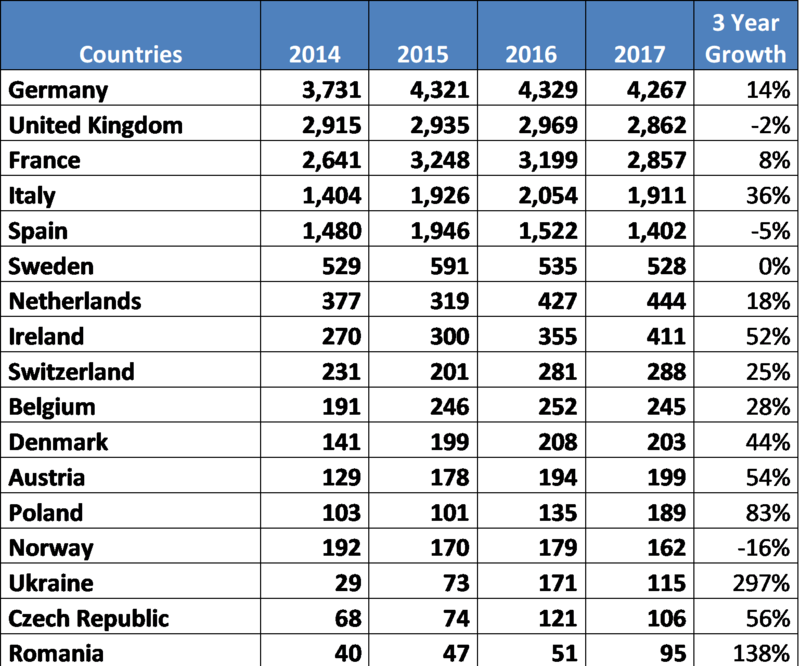 Two countries that do not maintain E-2 visa treaties, Brazil and Venezuela, have had major growth over the past three years. Brazil alone has grown 354% over three years, representing an annualized growth rate about 100%. Many Brazilians and Venezuelans are dual nationals of E-2 visa countries in Europe and Latin America. In Latin America, E-2 visa demand tends to surge in countries with political and social uncertainty and instability. Most of our Canadian clients move to the southern U.S. states of Florida, Texas, Arizona and California often to escape the harsh winters in Canada. Many are also looking for greater economic and educational opportunities in the United States. As for Latin Americans, there is a heavy concentration in Florida, Texas and California and most of them move to the U.S. for better opportunities for their children. Asia has traditionally been the most popular region for E-2 visa investors largely due to Japan’s heavy concentration of petitioners. Through discussions with immigration attorneys, most of the E-2 visa issuances are for Japanese managers that are transferred to work in the Japanese company’s U.S. affiliate. Japan alone accounts for over 14,000 E-2 visa issuances and that represents more than the 10,000 EB-5 visas issued every year! South Korea E-2 visa issuances have grown 20% over the past three years and many Koreans open up franchise businesses across the United States through the E-2 visa program. 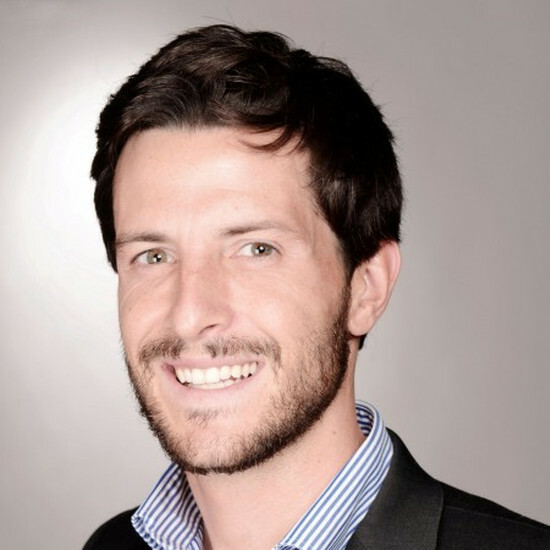 Language barriers can often be an issue for our Asia clients investing in U.S. franchises. We have developed a portfolio of business opportunities that have Chinese speaking staff (as well as other languages) to support our clients with less advanced English. Often, the franchisor can also provide an operator that speaks the same language as our client to support the ongoing business operations. Europe is not as concentrated in the countries issuing E-2 investor visas and nearly has the same amount of issuances as Asia. For years, Germany has been the main source of E-2 visa issuances and we see Germans moving throughout the United States. 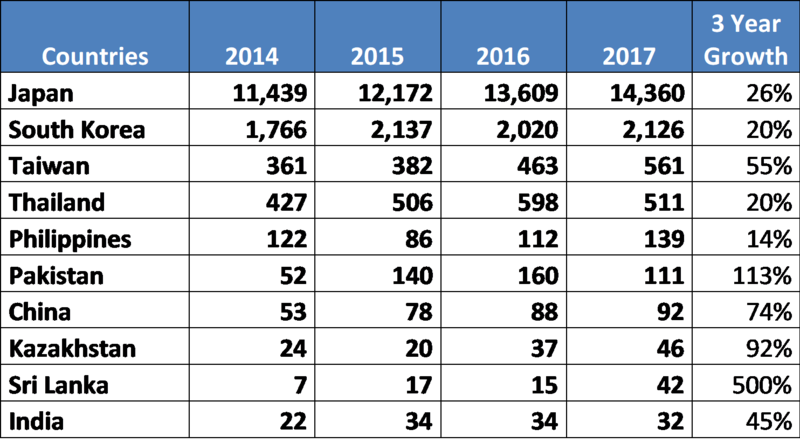 Italians have had a substantial increase in E-2 visa approvals, in fact, 35%+ over the past three years. Many Italians move to Florida, New York, and California to open up franchises in the restaurant and beauty industries. 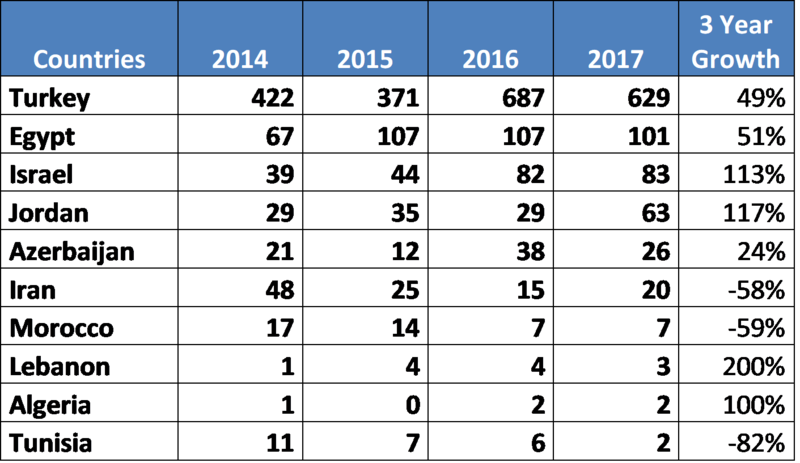 Given the ongoing conflict with Russia, it should come as no surprise that Ukraine’s E-2 visa issuances have increased 100%+ over the past few years. Many Ukrainians are moving to Florida and New York opening fitness franchises and small restaurants. The British generally prefer service-based franchises that require a strong command of English and sales skills albeit a relatively low investment amount ($90,000- $120,000+). Many of our British clients are moving to California and Florida to escape the cloudy skies of the United Kingdom. It should also come as no surprise that we have received many inquiries in March and April as the long winter drags on in Europe. Moreover, the Scandinavians often divide their time between Florida and their home country maintaining small franchise operations in the United States with a trusted day-to-day manager. Is Turkey part of Europe, Asia, or the Middle East? It probably depends who you ask and perhaps what side of the city you live in Istanbul. E-2 visa issuances have grown 49% in Turkey over the past three years. Many Turkish nationals are moving to Florida and California and investing in a wide array of franchises including gelato, fitness, coffee, and fast casual restaurants. Egypt also grew nearly 50% over the past three years and now has over 100 E-2 visa issuances. Egyptian nationals generally have strong command of the English language and invest in service-based franchise (such as commercial cleaning) throughout the United States. Many countries including the BRICs (Brazil, Russia, India and China) do not have a treaty of commerce and navigation with the U.S. allowing for the E-2 investor visa. With more than 30% of our clients being dual nationals residing in countries that do not maintain an E-2 visa treaty with the United States, we have found that just because individuals are from a non-E-2 treaty country it does not necessarily mean that they or their spouses might not have another citizenship that would qualify them for an E-2 visa. Brazilians and Venezuelans may leverage their European ancestry from such countries as Spain and Italy to apply through their second nationality. 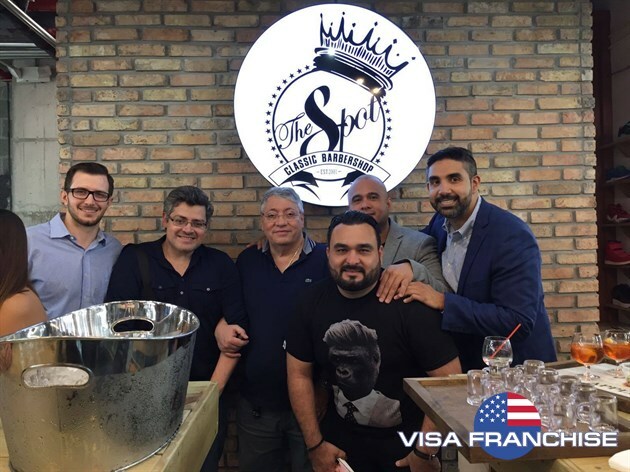 We expect many more Brazilians to apply for the E-2 investor visa as thousands of Brazilians recognize their Italian citizenship every year through their grandparents and great-grandparents. Also, we have clients from countries such as China who acquire a second citizenship through investment (often Grenada). They then make the investment and apply for the E-2 visa with their second passport. This has supported the increase of 72%, over the past three years, for E-2 visa issued in Chinese embassies and consulates. For those not holding passports of one of the countries eligible for the E-2 visa (listed below), they might consider investing for a second citizenship or they or their spouse qualify for another passport through ancestry or birth. E-2 Visa Countries – Countries with a treaty of navigation and commerce with the U.S. Although the E-2 visa does not have a direct path to U.S. permanent residency (green card) there are many ways to obtain a green card in the U.S. such as through the EB-5 or EB-1 visas. It is always advised to consult with a licensed immigration attorney in the beginning, because the investment might in the future qualify the individuals and their families for a U.S. green card. 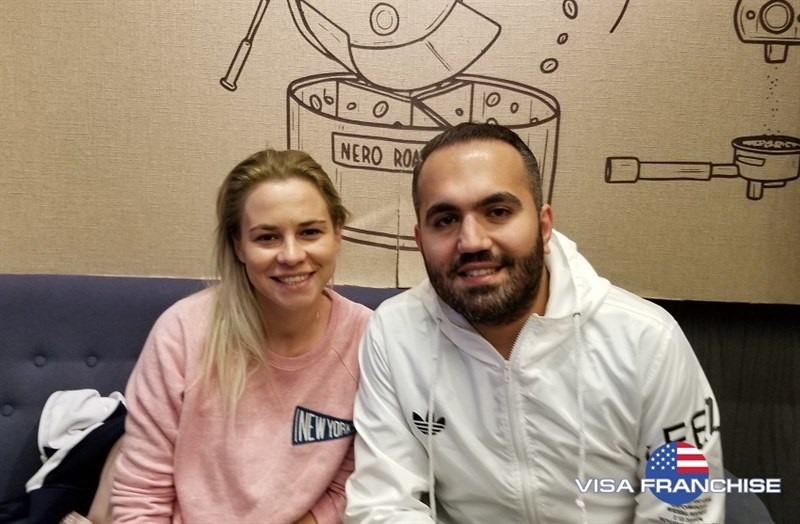 At Visa Franchise, we expect demand to be strong for the E-2 visa over the coming years and it will continue to be a solution for immigrant investors looking to move to the U.S. in as little as one month. As other visa categories such as the EB-5, L-1, and H1-B have become more stringent and cumbersome, the E-2 visa through a franchise investment stands out as the simple and straightforward path for those seeking to move to the U.S.!